Win any party with this incredibly simple and delicious pairing! 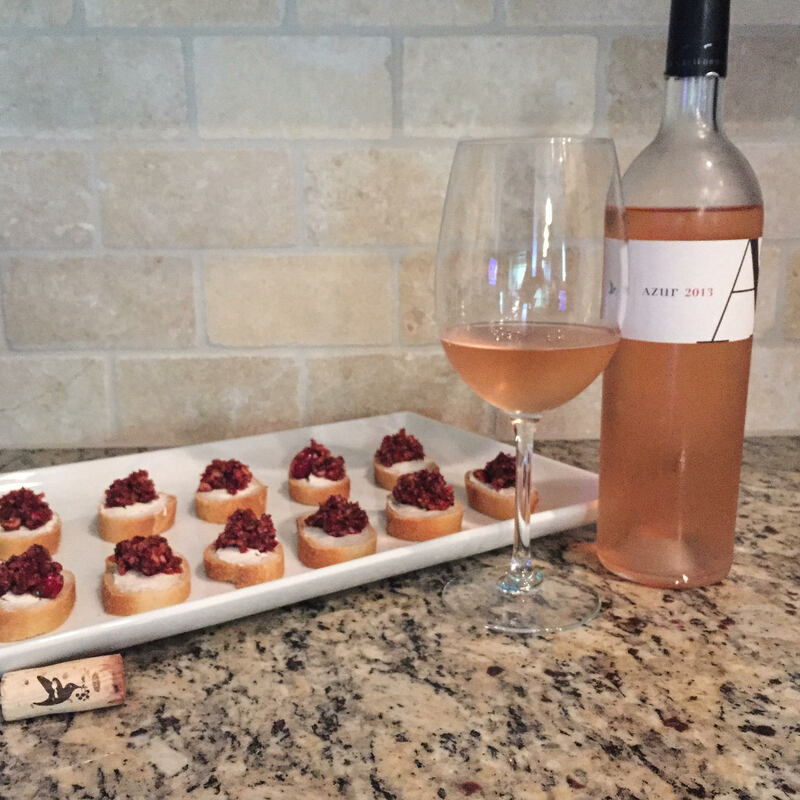 Azur Rosé perfectly complements this bright, acidic Cranberry Salsa that has a hint of heat. We made this recipe in under 20 minutes by pulsing 3 cups fresh cranberries, 1 cup light brown sugar, 1/2 cup chopped shallot or red onion, a chopped seeded jalapeño, and the zest and juice of 1 lime in a food processor until coarsely chopped and combined. Let that mixture stand at room temperature for about 15 minutes, then stir in a handful of chopped cilantro and more lime juice to loosen, if needed. We put the salsa on a crostini with goat cheese, and the result was delicious! Beautiful pairings don’t have to be complicated, cheers!